In my monthly feature this month [April 2019] in two Church magazines, the Church Review (Dublin and Glendalough) and the Diocesan Magazine (Cashel, Ferns and Ossory), I look at the Camino to Santiago de Compostela. I visited Santiago in Spain two months ago [February 2019] while I was staying for a few days in Porto in Portugal. 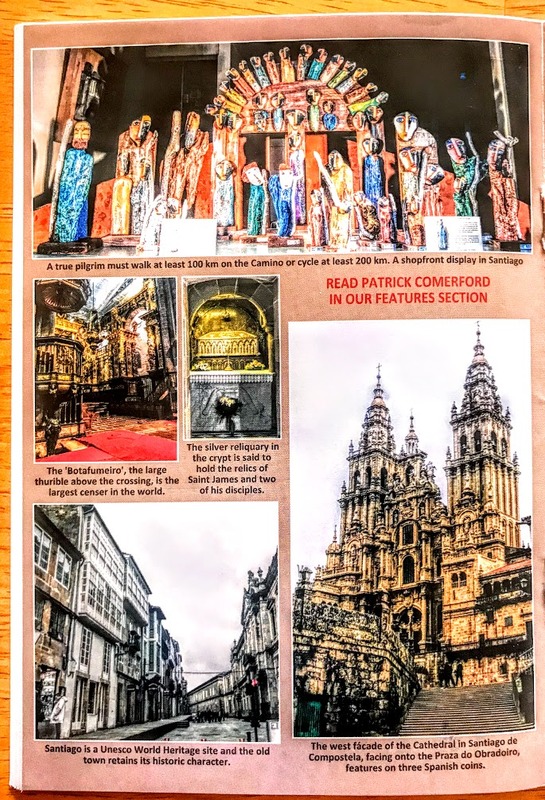 In a centre page feature in the Diocesan Magazine, the editor, the Revd Patrick Burke of Castlecomer, Co Kilkenny, has selected five of my photographs from Santiago as a ‘taster’ for this feature. The two magazines are available in parishes from tomorrow morning.